eCom-C Type A Atomizer adopts all metal construction with glass window. 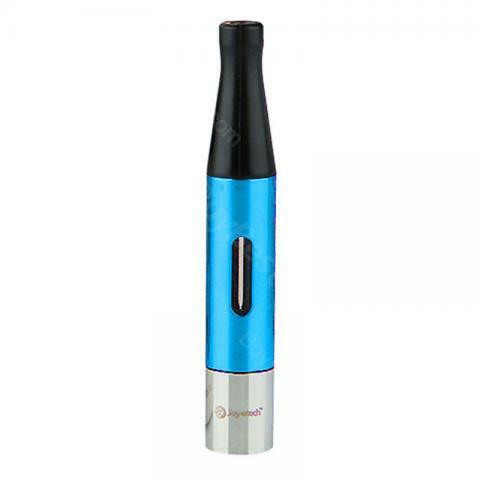 The seamless connection make it smooth to the touch, It is also assembled with changeable atomizer C2 head. eCom-C Type A Atomizer adopts all metal construction with glass window. The seamless connection make it smooth to the touch, It is also assembled with changeable atomizer C2 head ensure the high voltage, high output and heavy vapor. • All metal tube with glass window. • 2.4ohm resistance allows it to work under wattage (5.1W to 10W). Perfect small and practical, I love this model very much ,arrived super fast,thank's for this product,you are the best!! Joyetech eCom-C Metal Atomizer Tube - Type A made of stainless steel and pyrex glass. Cylinder shaped available in different colors. It is one of the imortant part of the e-cig. I never like wasting my time on comments, but the way this product work for me has make me to come here to say about it, my brother the product is good in everything at all check it out.